Well, at least someone's enjoying this. While voters groan, and MPs gape, and aides fume, and prime ministers scream silently into their hands, one man, at any rate, is having the time of his life. 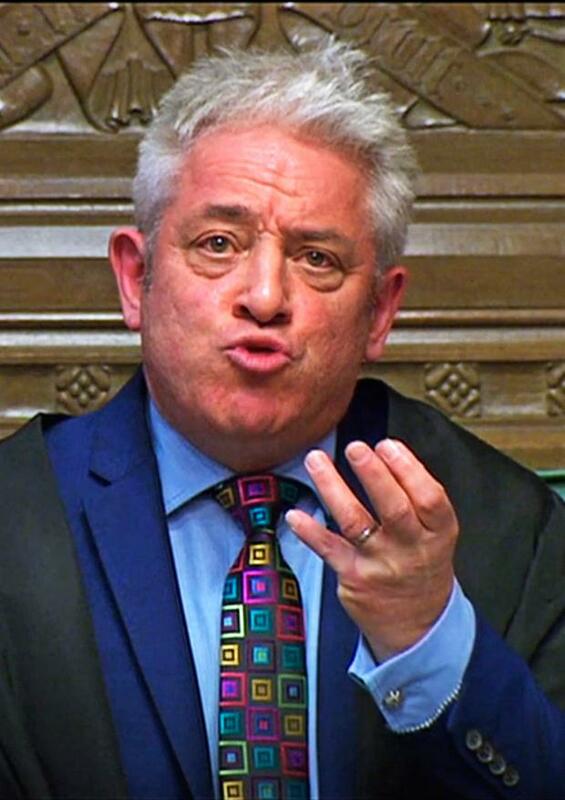 Yesterday in the House of Commons, John Bercow was the absolute dead centre of attention. And he wallowed in it. He wallowed like a hippo in a Jacuzzi. At just gone half past three, the speaker announced he would now make a statement to the House. He hadn't told anyone, including the Government, what he was about to say. For maximum impact, he simply sprang it on them, out of the blue. But perhaps "spring" is the wrong word. It implies speed, directness, getting straight to the point. But Mr Bercow did not get straight to the point. Instead, he strung out his statement for what felt like an age, slowly building suspense as if he were the author of an airport thriller, delaying the big twist to the last moment. On all sides of the House, lips tightened. Eyes goggled. Legs jiggled. In speechless agony, MPs waited. Finally, after no less than nine and a half minutes, the speaker put them out of their misery. Theresa May's Brexit deal, he said, had already been rejected by MPs. Unless she substantially changed it, she couldn't ask them to vote again. Her deal, effectively, was dead. Consternated Tories leapt up to raise points of order. The speaker never seems more at home than when confronted by a flustered, hot-faced Conservative backbencher. He did not hold back, at one point calling Neil O'Brien (Con, Harborough) a sycophant ("He has always seemed to me to be a keen supporter of close regulatory alignment with the Government whips' office"). None of the protests remotely fazed him. "The responsibility of the speaker is to speak truth to power," he yawned. "I have never been pushed around and I'm not going to start now..."
For over an hour, he bathed contentedly in the glow of Tory ire. At long last, however, there were no more points of order left to take. "I'm most grateful to colleagues," purred Mr Bercow, "for the interest they have shown."